Build a Rebel U-wing Fighter and you have another great part in the LEGO Star Wars collection. Lego Star Wars is great fun for both small and big fans of this immortal saga. Instantly, it will take you to the world of star wars where you can fight the Dark Side of the Force with light swords. Part of the LEGO Ideas collection are the ideas and designs of the LEGO kit builders themselves. Anyone can design their original kit on any topic. The imagination has no limits! That's why the LEGO Ideas kit is completely original, from different areas of the real or imagined world. The LEGO kit develops creativity and fantasy in the form of play. Compared with other construction kits LEGO ensures strength, colour fastness and dimensional accuracy making it easy to assemble and analyse. You can believe that this toy will last for generations. Going on a fishing trip? Everything you need will be bought in the old fishing store. Fishing rods, harpoons, hooks, diving equipment and other accessories can be found in the store. With the ladder, you can climb to the guard tower, use the telescope to look around and find the right place for fishing. Before the trip, relax in the office. Be careful, do not let your cat or seagulls eat the freshly caught fish! Landscape accessories - "Anton's bait shop" sign, opening time sign, "I'm fishing" sign, anchor, barrel, 2 tires with chains, 3 boxes with 2 fish and transparent ice elements, 4 fish hanging on hooks, 2 rescue rings, boxes with hooks and tool boxes - with drill bit, can with oil and wrench. Store opening and a removable roof with non-stick planks and decorative stickers, 2 ceiling lights, 2 front doors, 2 glass windows, green-beige flooring, 4 opening windows, a cash desk and expedition stands. guarded tower with a removable roof with a window, 2 opening windows, a balcony with a view of all four sides of the world, on the ground floor with an office with 2 opening windows, a blocked window with a newspaper, a table, a chair, a lamp, a newspaper and a ladder on the upper floor. 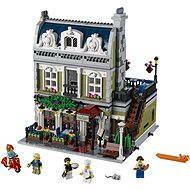 For shipping to other EU countries visit this page LEGO Ideas 21310 Old Fishing Store. 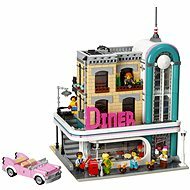 Für Versand nach Deutschland, besuchen Sie bitte LEGO Ideas 21310 Alter Angelladen. Chcete doručit zboží do Česka? Prohlédněte si LEGO Ideas 21310 Starý rybářský obchod. Chcete doručiť tovar na Slovensko? 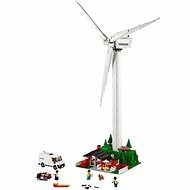 Prezrite si LEGO Ideas 21310 Starý rybársky obchod. Für Versand nach Österreich, besuchen Sie bitte LEGO Ideas 21310 Alter Angelladen. Magyarországra történő kiszállításért tekintse meg ezt a termékoldalt: LEGO Ideas 21310 Old Fishing Store.